Hans Henriksen (1963-) was born in Coos Bay, Oregon. He learned commercial fishing and boatbuilding from his father, starting on the deck at 8 years old. He attended the same high school as his mom and dad. 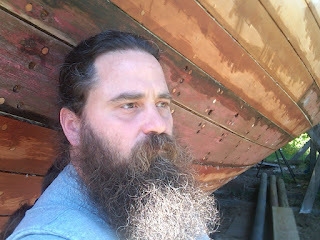 He is an Alaska fisherman who enjoys riding, backpacking, hunting and sailing in his spare time. While he enjoys writing short stories based on events from his life, he is currently working on a fantasy novel. Those that have read excerpts from the book are excited to find out how it will turn out and want to know when they will get to buy it. Events from his life have not only been the inspiration for his stories, some of those same events were his mom's inspiration for her writing classes in college. She swears she would never have graduated without his exploits. It gives me great pleasure to introduce to you Hans Henriksen. A man who has written a book that is different and unique in that it talks of an addiction of a different kind. So sit back and please welcome Hans! I have started several of my stories in the middle of some action, right before a climax, leaving the reader with a cliffhanger right off the bat. Then I will go back to the beginning and build the story. It depends on what I’m writing. For my short stories, when inspiration hits I just sit and write. I am currently working on 2 full length books. One is a recipe (yes, a whole book for 1 recipe) that I am doing a lot of research on. 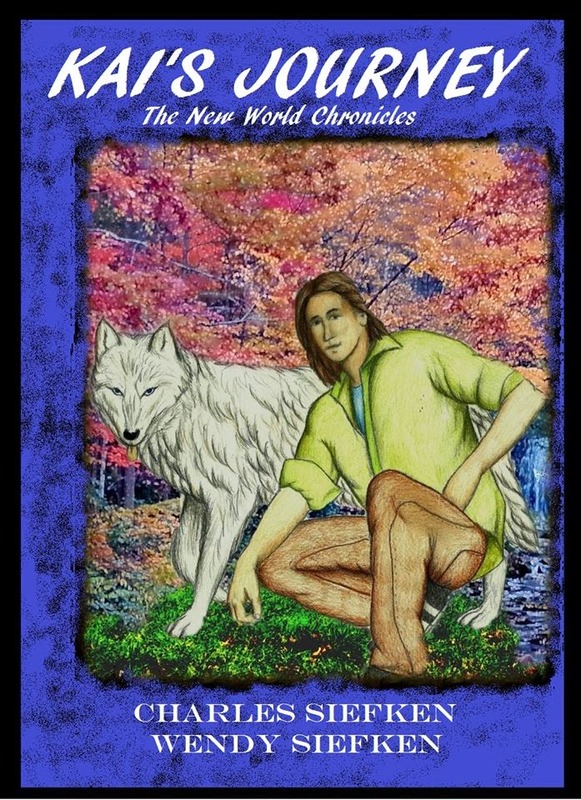 The other is a fantasy novel. For that book I have created a map of the land I am writing about, lists of characters, relationships, places, plants. There is a lot of ground work going into this novel. By having the ground work put into place I have a ready reference when I need it. Then I can free write while maintaining consistency of character, place and pace. It depends on what I am writing. I spend 6 to 8 months at sea fishing in Alaska. It is hard to work out any kind of schedule to write while I am at sea. My short stories are always an inspiration. Something hits and I have a polished story that day. For my novel I set a schedule of writing a minimum of 3,000 words a day. This can be a part of research, plot development or the free writing form. Of course, some days my 3,000 words come from special math. If you take 1,000 words, multiplied by a factor of 1.5 because of special words you’ve used that day then double it when you take into consideration the number of times you had to get up and let the dog out, you have your 3,000 word day. Wow. 1? Edgar Allen Poe. I fell in love with his writings at a young age. In his writing you can smell the mortar when he walls someone in a basement. You can hear the pendulum swoosh as it swings past its victim’s body. Poe involved all the senses. As I grew the irreverent humor of Patrick F. McManus played a role in forming my short story writing style. I fell in love with the writings of Robert Ludlum for his non-stop action, J.R.R. Tolkien and Terry Brooks for their creation of new worlds and Stephen King for his imagination. I try to use aspects of all these “heros” in my writing, but always fall back on Poe and McManus for my short stories. Not really. I enjoy all the aspects of the creation of a story, from the concept to the polishing. If there is anything I don’t like it is when I run a draft past people looking for critiques and I don’t get any. I am never truly satisfied with my finished work. While I may not see how to improve it, I always feel it could be better. Getting honest critiques is important, but they are difficult to solicit (except from my Mom). Right now I am reading an excellent book by Gavin Menzies called “1421, The Year China Discovered America. An excellent and well researched book. A retired Royal Navy submarine commander with a passion for charts, Gavin was trying to find some answers to ancient chart discrepancies, and what he has found is amazing. Because of his research an ancient Chinese Junk that wrecked during a tsunami was found near here (Coos Bay, Oregon). The vessel is in the bottom of a lake under sand, and its anchor chain goes out over the dunes into the ocean. 7. What prompted you to write in this style? It says in the short excerpt that there is part of your life in it, how much? My style just came to me. 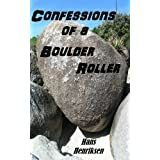 How much of my life is in “Confessions of a Boulder Roller”? Everything you read in this book is from my life. Some is 100% factual, some has fallen prey to the writer’s ability to stretch a tale. As I said early, it’s not what you’ve done, it all in how you tell the story. 8. Your books have been published with Amazon.com. Does this mean you see the publishing industry headed this way? There is nothing like holding a book in your hands and turning the pages as you read. I am old fashioned, and have been very resistant to the new formats for books. Because of these changes, some very promising writers are getting an opportunity to get their work in front of people through electronic self-publishing who normally would not have been able to. I have found myself paying baggage fees and lugging around extra bags for my books while a crewman grins at me holding his electronic reader. It appears this is a very good direction for the publishing industry, even if people like me are digging in their heels. What part of “Digging in my heels” wasn’t clear? Seriously, there are no websites, no Facebook pages, no twitter feeds, although as I watch how others use social media for shameless self-promotion, I just may find myself being dragged in as well. I can be just as shameless as the next guy. I am working on 2 books. A cookbook with only 1 recipe (trust me…I’m stumbling, but it’s going to work) and a fantasy novel that I am putting diligent work into. No release date, but some are waiting with bated breath. 11. Who would be your first choice to play yourself in your book titled, "Confessions of a Boulder Roller"? It would have to be Harrison Ford. Have you seen how he runs from that rolling boulder?